This is a pioneering cognitive psychological study of Ayahuasca, a plant-based Amazonian psychotropic brew. Benny Shanon presents a comprehensive charting of the various facets of the special state of mind induced by Ayahuasca and analyses them from a cognitive psychological perspective. He also presents some philosophical reflections. Empirically, the research reported in this book is based on the systematic recording of the author's extensive experiences with the brew and on the interviewing of a large number of informants: indigenous people, shamans, members of different religious sects using Ayahuasca, and travellers. 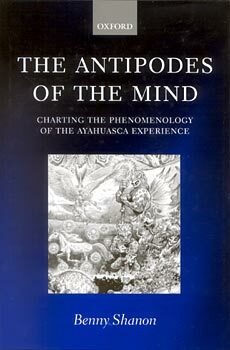 In addition to its being the most thorough study of the Ayahuasca experience to date, the book lays the theoretical foundations for the psychological study of non-ordinary states of consciousness in general. Benny Shanon is Professor of Psychology at the Hebrew University of Jerusalem.